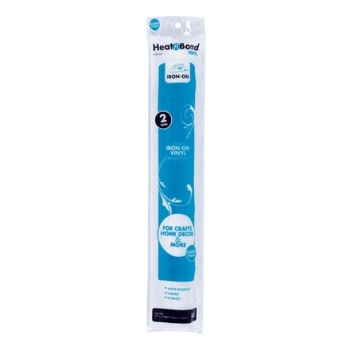 HeatnBond Iron-on Vinyl is a flexible, water resistant coating that you iron onto the top of your fabrics to protect them. Use Iron-On Vinyl to make your own laminated fabrics and create placemats, tote bags, chair seat covers, aprons, children's art smocks and more. This product is has a permanent gloss finish, and is sewable using your machine's regular or non-stick foot. It is fusible only on one side, can be used on fabric or paper, and is UV-resistant and water-repellent.